Starting this Friday I am starting a series called #FreelanceFriday. This will have tips from successful freelancers, guest posts about certain topics, ideas, inspirations and a lot more. We start this series with an SEO and Digital Marketing consultant, Dhiraj Shetty, who shares his knowledge about Optimizing the Real Estate websites to have greater impact and reach. Search Engine Optimization(SEO) is the only method where you can multiply your website visitors by more than 5 times with 1/4th of the costs that are spent on Display Advertising. The only drawback to this method is that it’s not instant. In a highly competitive market such as the Real Estate vertical, businesses struggle to get their real estate website ranked for premium rankings on Search Engines. 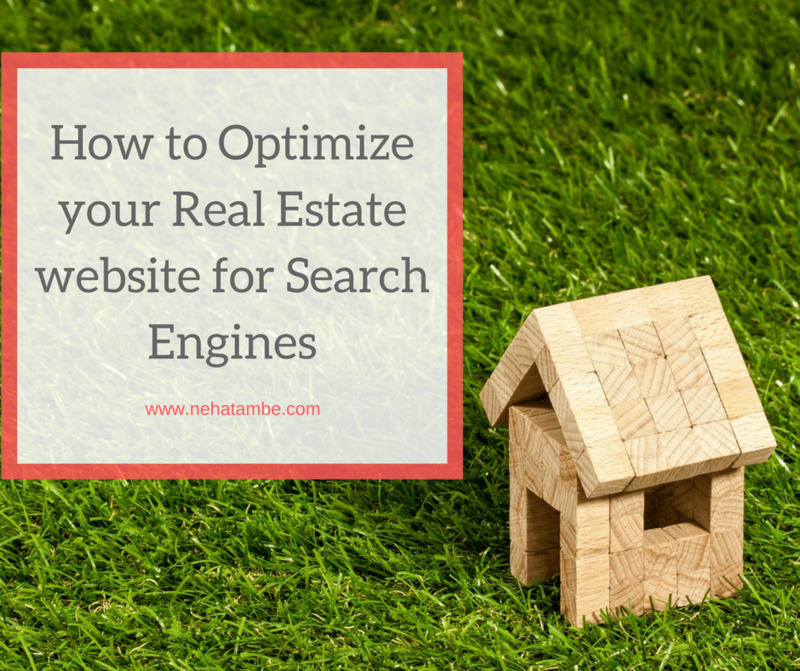 Here are a few simple tips to optimize your real estate website for Search Engines. The first place to start off on your road to SEO success is to audit your website. The audit report will provide you insights about the common issues that websites have. The SEO report can be classified into 2 main categories, On-Page Optimization which describes how well the pages on your website are optimized and the second is Off-Page Optimization which is the ranking factors outside of the website. There are a number of free SEO Audit tools available like SEM Rush, Moz.com, HubSpot etc. You can even hire a SEO Consultant for free to audit your website. Make sure that your website is responsive and accessible across all platforms. If your real estate website cannot be viewed on mobile devices then you are losing more than 50% of your visitors. 40% of your efforts have to be on On-Page Optimization and the other 60% on Off-Page Optimization. One of the most important elements of SEO is to target the right keywords based on your target audience. In a highly competitive vertical such as real estate, it is important that you find your niche in the real estate space. Don’t target every real estate keyword that you come across, instead create a category for your real estate business. If you are a real estate developer from Bangalore who is selling Luxury Apartments, your primary keyword would be “Luxury Apartments”, now add the location, which would be “Bangalore”, specify the kind of apartments that you are selling “3BHK or 4BHK”. Your final keyword may look like this “3Bhk Luxury Apartments in Bangalore”. You can dig deep and make it area specific because 90% of serious buyers would type in the long tail keyword on Google. Now expand your keyword list based on your primary keywords. If you are a real estate developer who has multiple categories in multiple locations like Luxury Apartments, Luxury Villas, Row Houses, Budget Homes etc. It is extremely important that the Information Architecture of your website caters to the needs of these Keywords. A website with a strong Information Architecture can target multiple real estate keywords based on your target audience. List your real estate business on Google Maps. Also, list your properties with the relevant property specific keywords. Claim your “Google My Business” page. Optimize your business page for search engines by creating a profile with the relevant keywords. Upload as many posts you can with images and information about your properties. NAP (Name, Address, Phone Number): One of the important factors is to have the local citations consistent across platforms including your website, social media etc. Local Reviews: Build credibility by focusing on getting a lot of reviews on Google reviews and other review platforms like Yelp. These reviews can have a direct impact on your search engine rankings. One of the key factors of Off-Page optimization is Domain Authority which tells Google about the popularity of your website. The popularity of your real estate website is determined by external links from highly authoritative websites. 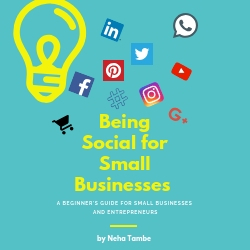 Hence it becomes imperative to have a strong social media presence which will help you to grow your business and also get you more backlinks. Social Media Engagement also helps in building a strong and loyal community which helps in referrals, which is how 60% of the property inventory is sold. There are more than 200 factors that affect search rankings, none more important than “Link Building”. The majority of your SEO efforts should be focused on Link Building. Build high-value links over a period of time using the following platforms. No matter how desperate you are to list your website for premier rankings on search engines, build your SEO organically using White Hat SEO techniques. If there’s one thing that Google absolutely hates, then it is using Black Hat SEO techniques. Although this post is for real estate the basics, I believe, can be used for any industry. Thank you Neha for sharing this very useful information. Yes Varsha, every industry can learn from these tips. I am glad you are starting this series. I am thinking about how it will benefit the personal websites. I have worked with real estate clients previously.. and the pointers that you have mentioned are the basics that one should keep in mind while taking their real estate business online. Nice suggestion Nisha! Will definitely try. A very helpful series, Neha. Also, your simple language makes it easy to understand. Thanks for sharing. Saving the link for future reference. Thanks for sharing. Really important information. Thanks for sharing. Informative and insightful. Bookmarking this post to come back and apply it on my blog. Thanks for sharing, Neha!! This is very informative Neha, would love to share with my friends from Real-estate and other entrepreneurial fields. Awesome skill to describe. Loved it. A perfect way to optimize a real estate website. I am also using the same method and for me, just content is the king for any business whether it is real estate. Get fake reviews is a really bad idea because it will completely damage your website. Thanks for sharing helpful information.